Half Maori! Half amazing! He began dribbling even before he could walk. 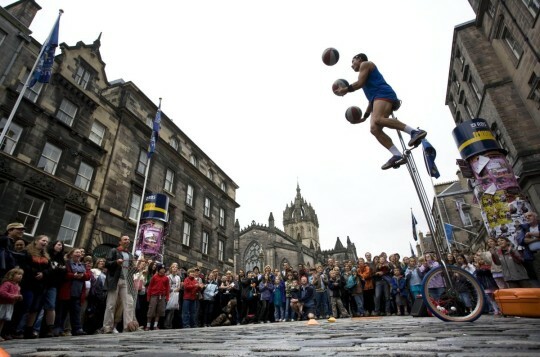 Today his show features intense, dribbling, spinning and juggling of up to five basketballs, audience interaction and the most dangerous basketball trick in the world atop a ten foot tall unicycle! Delivered with flawless patter and laid-back ‘kiwi’ charm. Basketball Jones has delighted audiences of all ages in over 20 countries around the globe. "Jones brings fun entertainment for all ages and tastes, combining tricks and pure talent to deliver a ‘wow factor' every time."